R&B/Hip-Hop Airplay (previously known as Hot R&B/Hip-Hop Airplay) is a chart published by Billboard magazine that ranks the top R&B and hip hop songs in the United States, based on audience impressions from a panel of radio stations monitored by Nielsen Broadcast Data Systems. It was also used in sister publication R&R, which listed the chart as Urban National Airplay. The chart is not the R&B/hip-hop subset of the Hot 100 Airplay chart, but rather uses a separate panel of R&B stations in urban and urban adult contemporary markets. It was the primary airplay component chart of the US Hot R&B/Hip-Hop Songs chart until the issue dated October 20, 2012, when Hot R&B/Hip-Hop Songs was revamped to include digital sales, streaming, and airplay from all radio formats. The Hot R&B/Hip-Hop Airplay chart encompasses two separate airplay charts, both of which are based on radio spins rather than audience impressions: Mainstream R&B/Hip-Hop and Adult R&B Airplay, which measure airplay on urban contemporary and urban adult contemporary stations respectively. There are fifty positions on the chart, which is solely based on radio airplay. 77 R&B and hip-hop radio stations are electronically monitored 24 hours a day, seven days a week by Nielsen Broadcast Data Systems. Songs are ranked by a calculation of the total number of spins per week with its audience impression, which is based upon exact times of airplay and each station's Arbitron listener data. Songs receiving the greatest growth will receive a "bullet", although there are tracks that will also get bullets if the loss in detections does not exceed the percentage of downtime from a monitored station. "Airpower" awards are issued to songs that appear on the top 20 of both the airplay and audience chart for the first time, while the "greatest gainer" award is given to song with the largest increase in detections. A song with six or more spins in its first week is awarded an "airplay add". If a song is tied for the most spins in the same week, the one with the biggest increase that previous week will rank higher, but if both songs show the same amount of spins regardless of detection the song that is being played at more stations is ranked higher. Songs that fall below the top 20 and have been on the chart after 26 weeks are removed and go to recurrent status. 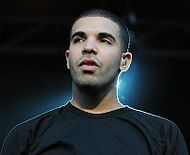 Drake holds the record for the most number-one songs on the R&B/Hip-Hop Airplay chart since its inception in 1993 with a total of 25. "Adorn" by Miguel is the only song to spend at least 20 weeks atop the chart. Billboard reported that the track was able to do so because the R&B/Hip-Hop Airplay chart reporting panel is composed of a variety of mainstream and adult R&B radio stations. Skip Dillard, the operations manager at adult R&B WBLS New York, stated that Miguel appeals to listeners in both the 25-34 and 35-54 age groups, thus maximizing the reach of his audience. "Adorn" went on to spend a total of 23 weeks at number-one, a record. Alicia Keys holds the record for the most number-ones among female acts, with eight. Beyoncé follows with seven, Brandy with five and Aaliyah, Erykah Badu and Mariah Carey, all three of whom have attained four. The 1993 single "That's the Way Love Goes" by American singer Janet Jackson holds the record for being the only song in the history of the chart to debut at number one, which did so in May 1993. ^ Pietroluongo, Silvio (October 11, 2012). "Taylor Swift, Rihanna & PSY Buoyed by Billboard Chart Changes". Billboard. Retrieved June 12, 2014. ^ a b Trust, Gary (15 May 2018). "Drake Earns 20th Radio Songs Top 10 With 'Nice for What,' Tying Lil Wayne For Most Among Males". billboard.com. Billboard Music. Retrieved 15 May 2018. "Nice" concurrently climbs 3-1 on R&B/Hip-Hop Airplay, becoming Drake's record-extending 25th No. 1 (Usher ranks second with 15). ^ Trust, Gary (October 14, 2013). "Chart Highlights: Katy Perry, Drake, Bastille Score New No. 1s". Billboard. Archived from the original on October 6, 2016. Retrieved October 6, 2016. ^ a b Mendizabal, Amaya (February 18, 2016). "Beyonce Earns Highest R&B/Hip-Hop Airplay Chart Debut With 'Formation'". Billboard. Archived from the original on October 6, 2016. Retrieved October 6, 2016. ^ a b c d Mendizabal, Amaya (January 25, 2016). "Drake's 'Hotline Bling' Ties Hot Rap Songs Chart Record". Billboard. Archived from the original on October 7, 2016. Retrieved October 7, 2016. ^ Mendizabal, Amaya (October 5, 2016). "Usher's 'No Limit' Rises to No. 1 on R&B/Hip-Hop Airplay Chart". Billboard. Archived from the original on October 6, 2016. Retrieved October 6, 2016. ^ a b c d e Ramirez, Rauly (January 23, 2014). "Beyonce Scores Sixth No. 1 On R&B/Hip-Hop Airplay Chart". Billboard. Archived from the original on October 6, 2016. Retrieved October 6, 2016. ^ Mendizabal, Amaya (July 15, 2015). "The Weeknd Is First Artist to Own Entire Top Three on Hot R&B Songs Chart". Billboard. Archived from the original on October 6, 2016. Retrieved October 6, 2016. ^ Trust, Gary (January 25, 2013). "Miguel 'Adorn's No. 1 On R&B/Hip-Hop Airplay For 20th Week: Weekly Chart Notes". Billboard. Archived from the original on October 6, 2016. Retrieved October 6, 2016. ^ Mendizabal, Amaya (June 29, 2015). "Janet Jackson's 'No Sleeep' Debuts on R&B/Hip-Hop Airplay Charts". Billboard. Archived from the original on October 6, 2016. Retrieved October 6, 2016. This page was last edited on 15 April 2019, at 03:46 (UTC).